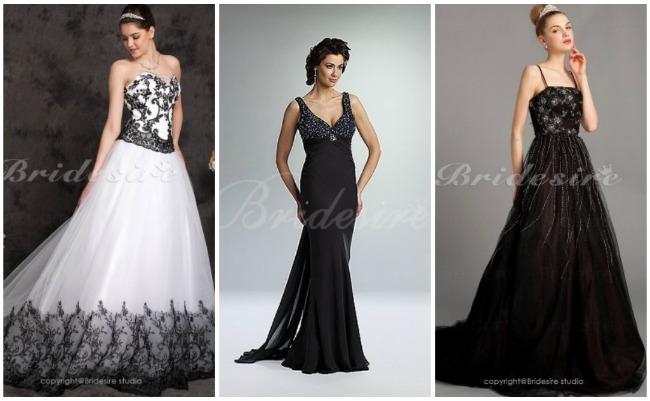 should my friend wear a black wedding gown on her wedding day? Every woman wants to become the most beautiful bride on her day of matrimony. Now that my friend's wedding preparations are starting to unfold, we have to do the rigorous tasks of planning all the details to ensure that everything will be near to perfect (I'm one of her bridesmaids, of course). And when it comes to her wedding dress, I've suggested that she'll wear something out of the ordinary and choose to wear a black wedding gown. It's not that we're gothic or something. I just want her to stand out among all the brides who are about to be wed this 2013. And since everything goes in this year's fashion, her wearing of black wedding dress will definitely give a statement wedding. Finding the right dress is not that easy, so I have to take all the help that I can get from the other bridesmaids. Fortunately, a friend of ours told me to check out this website. She highly recommended this website because she was able to get her own wedding dress as well as her bridesmaid dresses for her wedding. I have checked on the bridal gowns and found some black dresses for us to pick on: These 3 wedding dresses from thegreenguide.com instantly caught my attention. Which one of these is the most fashionable wedding dress? I hope we made the right choice on letting my friend wear a black gown on her wedding day.